It has been a busy few months. I recently completed the pilot Chartered Teacher Programme - a 14 month professional development for expert teachers (and to promote expert, research-informed teaching). I have recently contributed another article to Chartered College Impact, the next issue exploring curriculum design. I have recently been appointed an Associate Governor and Trustee for Arts and Media School Islington, in Finsbury Park. I'm thrilled to join a school that places the arts, culture and creativity in such high regard. I enjoyed visiting Berkhamsted School as part of the their Music Festival. I spent the day meeting GCSE and A-level composers exploring approaches to writing coursework, as well as spending time with members of the department and discussing teaching strategies. A vibrant department and a lovely school. Thanks to everyone who made me feel so welcome. My second short film for London Philharmonic Orchestra will appear later in February - this one explores writing for strings. It was great to be able to devise this and have such wonderful players to bring the excerpts to life (and my arrangement of Ode to Joy!). It will appear on the LPO website in due course and YouTube. 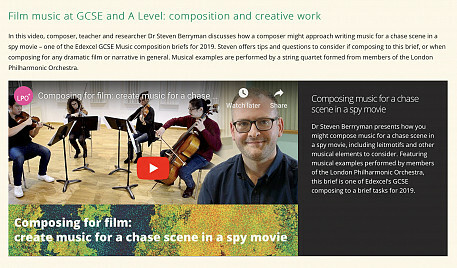 I have written and presented two short films on composing for GCSE Music, the first of which is now available on the LPO website and YouTube here. 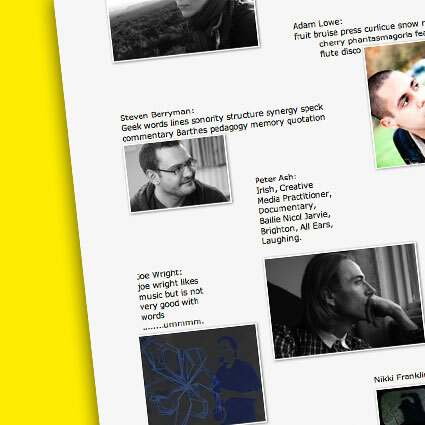 I’ve contributed two guest blogs this month. One for MusicEd UK on being a research-informed music teacher and more recently one for IRIS Connect on my experiences of using the platform on the pilot Chartered Teacher Programme. Last term I had contributed an article to an issue of Impact, from the Chartered College of Teaching. Later in January I will visit Berkhamsted School during their music week. 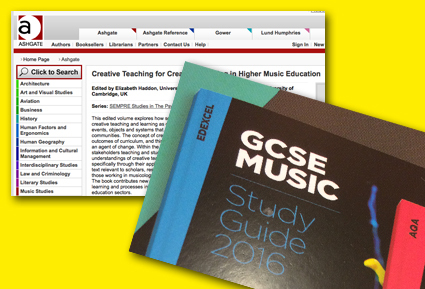 Before Christmas I delivered two courses for Keynote Educational on GCSE Music. The Chartered Teacher Programme pilot ends next March after completion of the research project. I’ve very much enjoyed this professional development programme and highly recommend it to teachers looking for a rigorous and demanding course. Currently I’m working on a few education projects with Focus on Sound (developing curriculum), Royal Opera House (Create and Sing writer and steering group member) and London Philharmonic Orchestra (short films). I’m in my second year at King’s College London as a Visiting Research Fellow in the School of Education, Communication and Society and in addition to delivering some lectures this year and surpervising some MA dissertations I will contribute a seminar to the CPPR Series on my ethnography of a young people’s project at Royal Albert Hall. The RSA has launched a new network of practitioners championing evidence and evaluation in arts and cultural learning, and I’m pleased to have been selected to join the first cohort starting this autumn. The RSA is working with Arts Council Bridge Organisations to champion the role of evidence and evaluation in improving the quality and impact of arts and cultural education.In its first year the Evidence Champions Network will connect 100 artists, educators, evaluators, cultural organisations and funders who want to support better use of evidence and evaluation in arts and cultural learning. Through the Network, Champions will develop knowledge and skills of evidence rich practice and help spread the word about its value, convening online and in regional hubs, to support practitioners across England. It was a joy to chair the first meeting of the Worshipful Company of Educators Arts and Cultural Education special interest group. 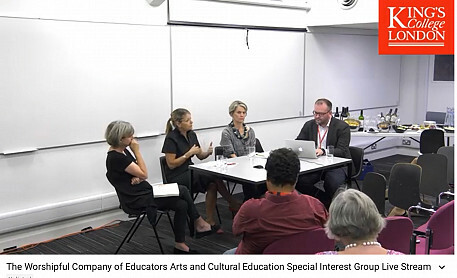 Three speakers discussed key issues in arts education; Professor Anne Bamford OBE, Professor Helena Gaunt and Dr Kate Dunton. There is clearly a conversation to have that brings arts educators together from different sectors. Thanks to KCL School of Education, Communication and Society for hosting and to the guests that joined us. I look forward to seeing the SIG develop into a series of talks and events that will champion the positive experiences possible through arts education. 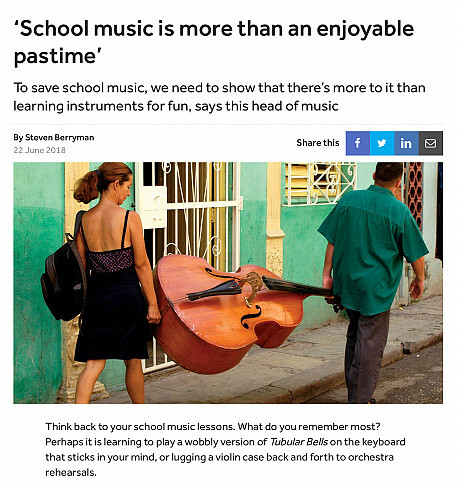 Article by me on the TES website: ‘School music is more than an enjoyable pastime: To save school music, we need to show that there’s more to it than learning instruments for fun, says this head of music’. You can read the article here. 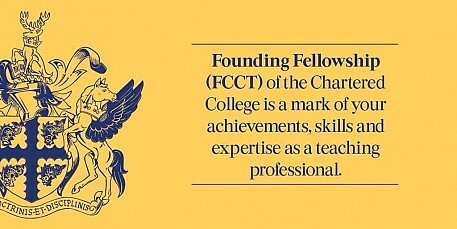 I am thrilled to be made a Founding Fellow (FCCT) of the Chartered College of Teaching. 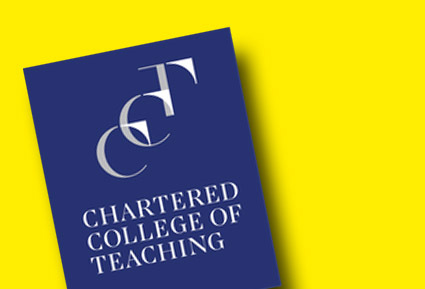 On the Chartered College of Teaching website it mentions that Founding Fellowship (FCCT) of the Chartered College of Teaching is an accolade held by some of the most committed teachers and leaders who have shown a significant and sustained contribution to the teaching profession and their own professional development. As the highest and most prestigious category of membership at the Chartered College, it is a mark of achievements, skills and expertise as a teaching professional. Additionally, it is a formal recognition and celebration of ongoing contribution to the profession, and comes with a range of benefits. As a Founding Fellow, we will be encouraged to support memers and other teachers to engage with and promote the use of evidence. I have contributed to the CCT website with reviews of books, a recent blog post on Leadership and I am a member of the Members Focus Group. This month I have also joined the External Expert Panel for Ofqual. The role of an Ofqual external expert is to provide advice on aspects of qualifications and assessments, from a subject or sector/industry perspective, to help the Regulator come to sound, evidence-based judgements. We are a third of the way through the pilot of the Chartered Teacher Programme - time has flown! This innovative programme of training seeks to support expert teaching and I have thus far learnt a great deal, particularly about cognitive science. It is enjoyable to be part of this pilot programme, providing feedback to ensure subsequent cohorts can benefit from a successful programme that meets the needs of teachers. For the Worshipful Company of Educators I Chair he Arts and Cultural Education Special Interest Group and will soon launch with an event at King’s College, London, where I am a Visiting Research Fellow. The launch event will feature a debate from visiting speakers who explore what arts and cultural education embedded within schools can look like. 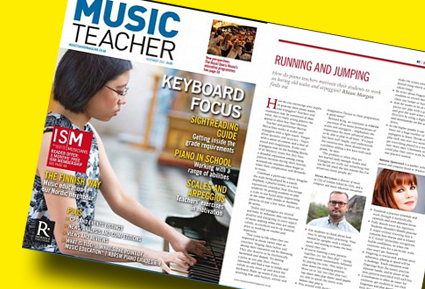 I feature in the May issue of Music Teacher magazine talking about how we support the development of the whole musician. At CLSG we support Music scholars with Alexander Technique and mentoring, and we are offering these opportunities to non-Scholars too. Wellbeing of young musicians is a growing concern, particularly as recent research by RCM has shown there is an increasing amount of injury during Conservatoire training and a normalisation of pain. I hope the work we do at CLSG will promote pain-free playing and long term enjoyment. I spent two days visiting Dubai College in January. The first day I worked with three music department's exploring the new A-level specification, leading discussions on teaching strategies and assessment. The second day I worked with Dubai College staff exploring development and strategy for Music before working with Year 13 composers. January 2018 I will visit Dubai to work with Music Teachers drawn from across the Middle East, hosted by Dubai College. I will explore the new A-level specifications, specifically approaching composition. Also in January I start the pilot of the Chartered Teacher programme with Chartered College of Teaching. I'm thrilled to have been selected to part of the pilot cohort of 150. Chartered Teacher Status will recognise the knowledge, skills and behaviours of excellent teachers, highlighting the importance of their expertise in supporting the learning of children and young people and representing the first step in the development of a career pathway focused on effective classroom practice, not leadership. It will also bring teaching in line with other professions, where recognition of expertise and expectation of career-long professional learning are well-established'. The Chartered College Music Education Network launch event was a success - bringing a good group of teachers to City of London School for Girls. We look forward to the next event in February 2018 and developing ways for sharing and debating issues that effect what we do in the classroom. Recent composition includes incidental music/songs for a school production of Caucasian Chalk Circle. 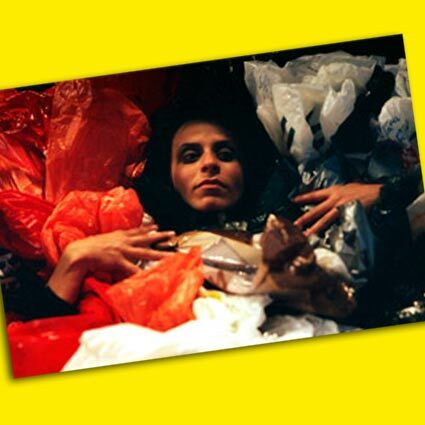 Two performances talk place 15/16 November. 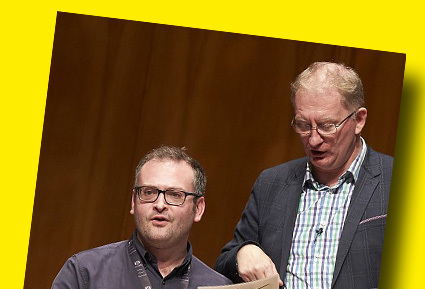 United Learning Music have commissioned a new resource for teaching across their family of schools to assist the work they will be doing with the new BBC Ten Pieces repertoire. I look forward to working with them, and to hear the results from the schools as they engage with the music. 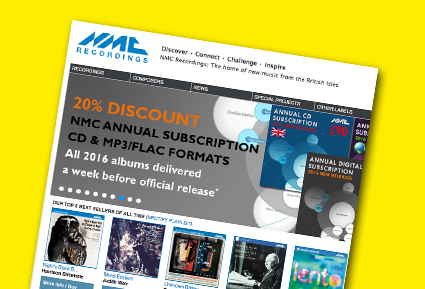 For NMC Recordings I have written a resource pack that includes a lesson outline and powerpoint to support the use of their new app r:strng. 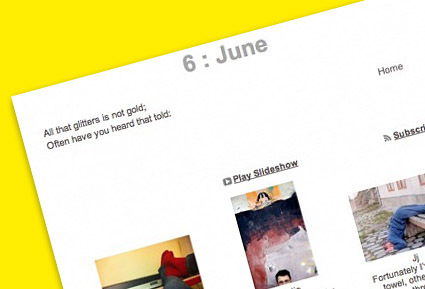 A remix app that encourages engagement with a work by Kate Whitley. You can find out more here. 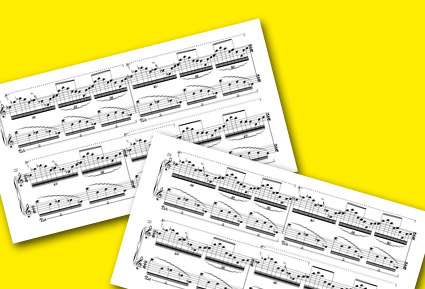 Additionally, the GCSE Composition Resource I devised for NMC will be launched. Read more here. For Keynote Educational I will write and present two new courses for GCSE Music and contribute to the A-level Composition Day in October. I have worked with Keynote since 2012 and enjoy working with teachers on the creative aspects of the new specifications. More about their music courses can be found here. In 2018 I will work again with the Royal Opera House Learning Department on the Fanfare Project, as the Composer-Educator. It has been a joy to work with ROH Learning on Fanfare since 2015, hearing the entires and helping teachers explore the competition. The resources I co-wrote are available here. 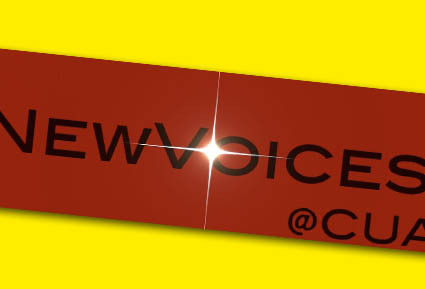 For the new Chartered College of Teaching (of which I am a founding member) I will lead a London Music Education network, and look forward to connecting with colleagues across the capital through a series of events over the year. The Network will aim to bring together primary and secondary classroom teachers, researchers and trainee teachers to explore how classroom practitioners can connect with and be inspired by research. We hope too that the network will encourage teachers to conduct their own research they would share with the network. To register to keep informed please complete the form here. From 1 September until August 2019 I join the School of Education, Communication and Society at King's College London as a Visiting Research Fellow. My research explores Arts and Cultural Education, and I look forward to working with Dr Anwar Tlili and contributing to the department. I will contribute two lectures to the Art, Culture and Education module of the MA. I will continue my Understanding Younger Audiences research with Guildhall School, investigating how co-creation of a chamber concert can reveal younger audience's attitudes towards to classical music. My page on the KCL website is here. 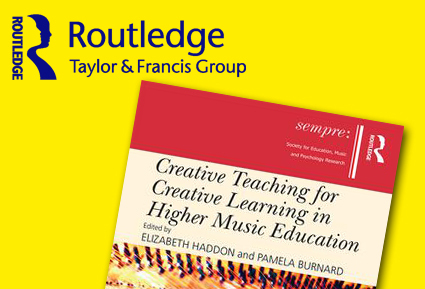 Routledge are now publishing Creative Teaching for Creative Learning in Higher Music Education as a paperback, ISBN 978-1-138-50499-8. It will be published as part of the Routledge Paperback Direct (RPD) programme (print on demand, available to purchase directly from the Routledge website). I contributed the first chapter to this book, edited by Pamela Burnard and Liz Haddon. I'm thrilled to be joining the Cultural Leadership Community with A New Direction for 2017-2018. The Cultural Leadership Community (CLC) was created to help enable London teachers to take a leading role in ensuring that all young Londoners have access to the arts and culture in their educational lives. The CLC programme will build participants' understanding of the impact and importance of cultural education on a London-wide, national and international level. Via a bespoke research project supported by CPD and mentoring, participants will also actively develop the cultural education offer in their own school. Successful applicants to the Cultural Leadership Community will participate in a year-long programme of bespoke CPD (five sessions), with the first session running as a full day, and subsequent sessions delivered as half-days. A closed social media network will support the development of the cohort between sessions along with one to one consultation with Nimble Fish around key issues and opportunities for participants in the context of their interests as cultural leaders. I'm returning to sing the tenor solo with Southend Choral Society at Brentwood Cathedral. I'm thrilled to have been elected a Freeman of the Worshipful Company of Educators, and will make me declaration later this month at Painters Hall. 'The Worshipful Company of Educators is the 109th livery company of the City of London, having been granted livery status on 10 September 2013 by the Court of Aldermen. The Company was founded on 24 May 2001 as a Guild to represent the education and training profession and for charitable purposes. On 15 September 2009 the City's Court of Aldermen granted the petition of the Guild of Educators and agreed that the Guild be constituted one of the Companies of the City, without a grant of livery, with the title of The Company of Educators and that its Ordinances be approved and duly enrolled amongst the records of the City. Upon being advanced to the status of City livery company in 2013, the Company was accorded the official title of Worshipful Company of Educators, although less formally it can continue to be known as the Educators' Company'. I'm pleased to be forging links with different parts of the City, and will look forward to contributing to the life of the Musicians and Educators Company as a Freeman. 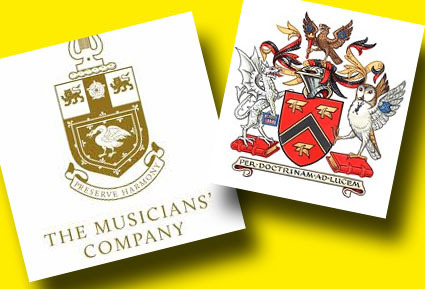 I'm thrilled to have been elected as a Freeman of the Worshipful Company of Musicians. I look forward to the 12th July when I shall be formally admitted to the Company. 6 May I visit Junior Royal College to adjudicate the Marjorie Humby Competition - having already seen the repertoire to be performed I know it is going to be an exciting day. 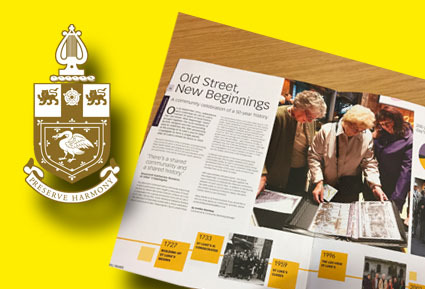 'Old Street, New Beginnings' was mentioned in the Spring issue of LSO's Living Music magazine. It was great to return to Royal Opera House and be part of the final selection of the Fanfares for 2017. This is a special project for me as I was part of the development of the new approach where pupils make use of a selection of motifs from ROH repertoire. Additionally my contribution to a new singing resource is available on the ROH website - an arrangement of Wagner's Sailors' Chorus. You can find this here. 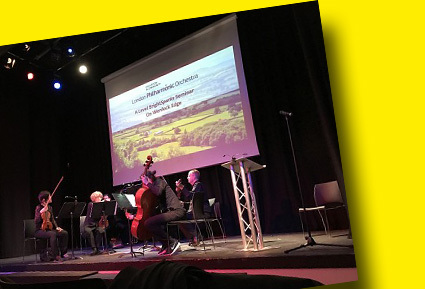 This month I have worked with London Philharmonic Orchestra to write and a present a seminar on On Wenlock Edge. This was a joy to do and it was wonderful to see so many students attend the seminar, held at the impressive Pimlico Academy. There is plenty of potential in this format of delivering the set works and I hope more will occur in the near future. For Westminster School I gave the pre-concert talk for their Faure/Puccini Concert at Barbican Centre on 20 March. An interesting task for me to talk about two well-known works - but I hope the audience gained a broader insight into the stylistic trends of both composers and the links to a longer term trajectory of music of that time. Concert was a triump for the school - very much enjoyed hearing the choir and orchestra perform so well under baton of Mr Tim Garrard. I'm looking forward to visiting City of London Freeman's School for the first time in March to adjudicate their House Music competition. The week after I present a concert for LPO Education Department on the A-level set work 'On Wenlock Edge' working with musicians from the LPO. 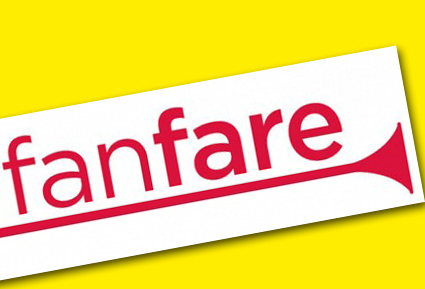 Later in March I return to work on the Fanfare project at Royal Opera House for my second year - an enjoyable project that brings the ROH repertoire under the microscope while school-age students write fanfares. A great competition and look forward to seeing how they get on. 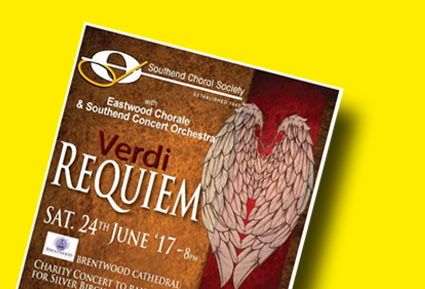 In June I return to sing Verdi Requiem solo for Southend Choral Society at Brentwood Cathedral. 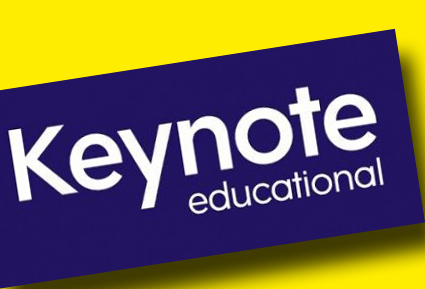 I will write and lead two new courses for Keynote Educational next year; one exploring creative approaches to the teaching of the new GCSE specifications and another focusing on the composition briefs. For LPO Education I will present a concert in March 2017 on some of the Edexcel A-level set works, working with musicians from the orchestra to explore the music and wider listening. In January I will lead a composition workshop for primary schools hosted by Scarborough College, and a composition CPD session for teachers who will be working on the ROH Fanfare project for 2017. I was pleased to contribute some scale practice advice to the November issue of Music Teacher magazine. I also wrote an article for the 100th issue of MMA's Ensemble magazine, launched at the Gresham Centre on 4 November 2016. Text of the article is on my blog here. 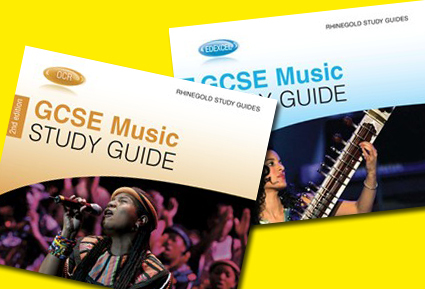 The Rhinegold OCR GCSE Music study Guide is now available to purchase. it includes my chapter on composition. You can purchase it from Amazon here. I'm enjoying being a Teacher Advocate for Music Excellence London - I've contributed a blog post that will appear on the website shortly and look forward to the TeachMeet next month at St. Paul's Girls. My research project Understanding Younger Audiences, a partnership between Guildhall School and CLSG, has moved beyond the half-way point and I have written about the current progress on my blog here. The webinar broadcast on 20 September will be available here on the ISM website for future listening. 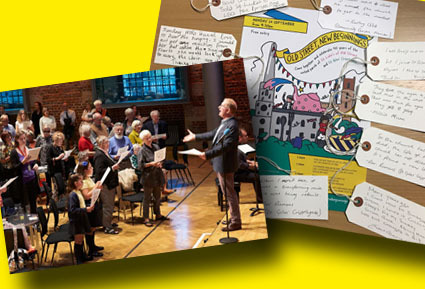 My community choir piece 'Come Let Us Sing' and Fanfare will be performed between LSO St. Luke's and St. Giles' Cripplegate on Monday 26 September. David Lawrence will rehearse girls from City of London School for Girls and the LSO Community Choir on the day and include working on my harmonisation of the hymn 'O Come Let Us Sing'. I am currently working on a GCSE Music resource working with NMC and Rhinegold Education. 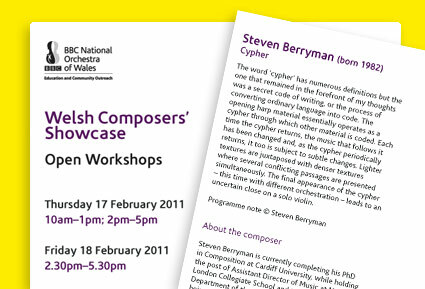 It hopes to be materials useful for the teaching of composition and explores repertoire in the NMC catalogue. The resource will be presented in October at an Essex Music Hub Conference. Teach Through Music and Peer to Peer network have been amalgamated into Music Excellence London. I enjoyed being a Mentor for TTM and will be one of 15 Teacher Advocates for the new MEL programme. I look forward to the year ahead of Inspire events and other activities bringing KS3 Music teachers together. I have written the first chapter in a new book from Routledge/Ashgate - 'Creative Teaching for Creative Learning in Higher Education Music'. This is available from 19 May and further details are here. Additionally I will join the shortlisting judging and finalist judging panel for the Royal Opera House Fanfare Competition this year. I'm excited to hear the entries and hear the finalists recorded by the wonderful ROH orchestra in the summer. Rhinegold's revised Study Guides will be published this spring and the Edexcel and OCR guides will include composition chapters by me. Additionally my chapter on composition in schools will feature in a forthcoming Ashgate title to published in April. I will return to the Royal Opera House in February to work with the Learning Department on a new project, following the recent work I did on the teaching resources for the Fanfare 2016. For MMA I will speak at their Composition Day in March and at their annual conference taking place in Lancaster in May. Both sessions will look at GCSE Composition particularly with the new specifications starting in September 2016. I will be leading a CPD session for teachers on how to work on the Royal Opera House Fanfare competition. More information about the project can be read here. I will be working with the Learning & Participation department to develop new resources for teachers and students over the coming month. 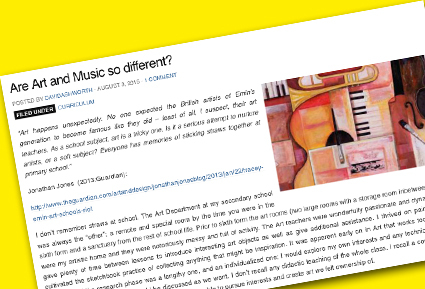 I have written the Guest Editorial for Teach Talk Music - this will appear on Monday 3 August here, called "Are Art and Music so different?". Thanks to Teach Through Music for supporting my artist-collaboration with Mary King to explore Into the Woods as I prepare to MD it at my new school, City of London School for Girls. The two sessions in August will give me chance to discuss vocal issues as well as interpretation, and explore planning how to rehearse this musical. For the MMA INSET in November I will deliver a session on composing at KS4, linking it to KS3 and considering the transition in addition to how students can thrive at KS4 with their composing. With International Bassoon Day approaching on 11th October 2015 I will be writing a new work for the Berkshire Maestro's County Bassoon Ensemble this autumn. Two new dates are available for my Keynote Educational courses both in December. Further details are here for my Composition course, and the Outstanding Teaching and Learning is here. 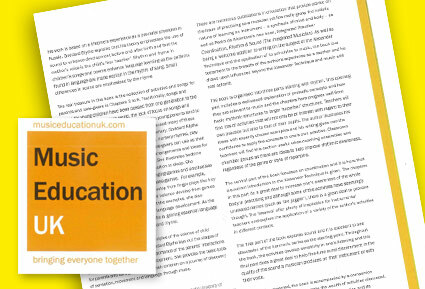 Steven will contribute to forthcoming study guides supporting the new GCSE specifications for OCR and Edexcel Music - both to be part of Rhinegold Education's portfolio of resources to support teachers and students. This month Steven has visited the Stephen Perse Foundation School to deliver a seminar and workshop on teaching composition, and will visit Glenthorpe High School in July to work with A-level students. Steven will contribute to a forthcoming study guide for the new Edexcel GCSE Music, focusing on the composition aspect. Further details to be announced. His chapter (on secondary school composition teaching) for a new book 'Creative Teaching for Creative Learning in Higher Academic Music Education' will be published by Ashgate in 2016. Steven will adjudicate some piano classes at the Young People's Festival this year. 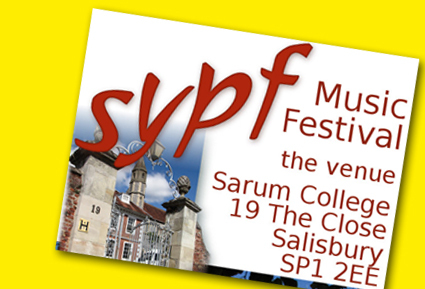 Entries closed at the end of January but the Festival takes place at Sarum College, Salisbury 28 February. The Festival is an opportunity to perform. People come together not only from Salisbury, but the rest of Wiltshire, Dorset, Hampshire and Somerset to perform in front of each other, families, friends and an adjudicator. 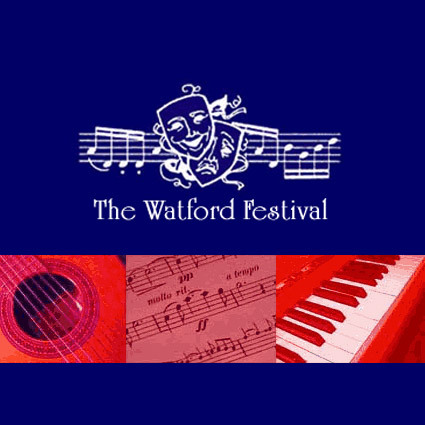 For all classes the Festival aims to promote a relaxed and friendly atmosphere that encourages everyone to perform to their best.All performers non-competitive and competitive take home a certificate and written comments from the adjudicator. Further details here. Steven will sing the role of Tamino with Oxford and Cambridge Musical Club's concert performance of The Magic Flute. Details of the concert, which forms part of their current concert season, can be read here. Steven will speak at the Keynote AS/A2 Music Students' Conference at the Rock Tower, Tufnell Park, on Tuesday 3 February; he'll speak about the written and aural papers, and give advice on composing. 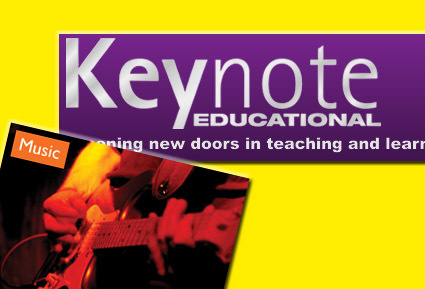 Steven will also lead a workshop for teachers on composing at GCSE at Keynote's National KS3/4 Music Teacher Conference in London on Wednesday 11 February. Steven was one of a group of speakers as part of a Teach Through Music Inspire Event at London's 'Living Room', City Hall. 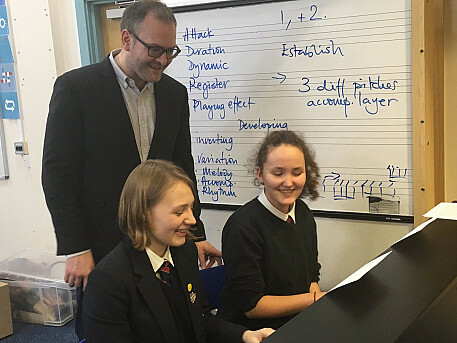 'Preparing all Pupils for KS4' was part of 'Teach Through Music', and is one of several events offered over the year-long programme of professional development. You can read a Storify of tweets and photos of the evening here. Steven's blog post about the evening is here. 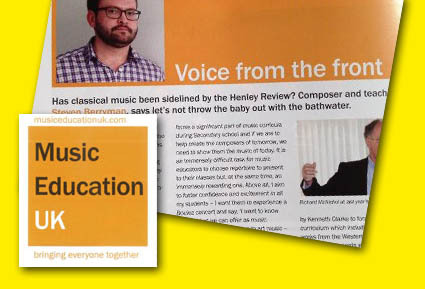 Steven's article 'Reimagined, Recomposed' features in the current issue of Music Teacher magazine. It includes an interview with the pianist Christopher O'Riley, Steven's work with Pro Corda and how to develop composition skills in school-aged pupils through manipulating pre-existing material. Steven will sing the role of HRH Prince Phillipe in Berkeley's 'A Dinner Engagement' (1954) with Oxford and Cambridge Musical Club. Further details of the work and a synopsis can be found here. The performance with orchestra will take place after the OCMC AGM on Saturday 18th October 2014. Following the Higher Education Academy funded seminar at The Music Department, University of York in May 2013, submissions were invited of proposals for chapters for a book on the how, what and why of creative teaching for creative learning in higher academic music education. Contributing authors will explore new theoretical, practical and methodological directions for teaching creatively to facilitate creative learning, focusing on the processes and techniques of creative teaching, particularly accounts of academic learning and performance-related subjects. The book will explore what provides a multi-disciplinary (and possibly international) account of the role of creativity in higher music education. Steven's chapter proposal was accepted and the book will be published by Ashgate 2016. Further details of the seminar that inspired the book can be found here. 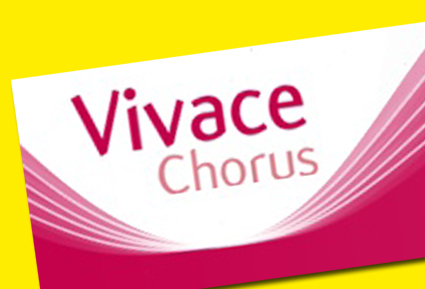 Steven will give the pre-concert talk before Vivace Chorus' performance of Bach's B Minor in Guildford Cathedral on 15 November 2014. You can read a previous talk on Bach by Steven here. This will be the third talk Steven has given for the Chorus and past concert talks have included Karl Jenkin's Mass for Peace, Haydn's Mass in the Time of War and Angel Song II by Will Todd. You can read Steven's review of the last concert here. 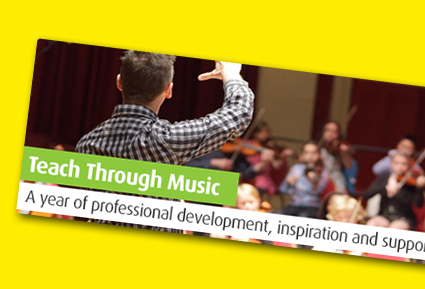 Offiical enrolment for Teach Through Music will open soon; a programme of fully subsidised professional development, support and inspiration for KS3 Music in London from summer 2014 to summer 2015. 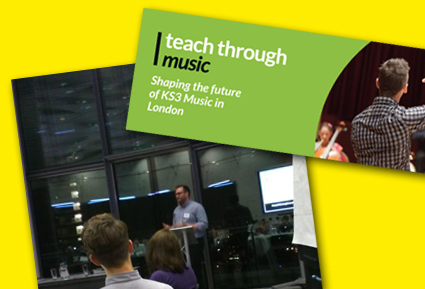 Free to all KS3 music teachers in London, Teach Through Music draws on the resources and expertise of current music teachers and leading training and cultural organisations, to support teachers in delivering a dynamic, progressive curriculum of active music making, listening and creativity for all young londoners. Teach Through Music is funded through the London Schools Excellence Fund and is supported by the Department of Education and the Mayor of London. It is a partnership between Sound Connections, Trinity Laban, Barbican Guildhall, University of Greenwich and Trinity College London. Steven will be a Fellow for Teach Through Music, part of a team of experienced teachers supporting those who enrol on what hopes to be an exciting and innovative programme of professional development. Steven will lead a composition project on the Pro Corda Senior Course this August, culminating in a final performance of new works by the students. 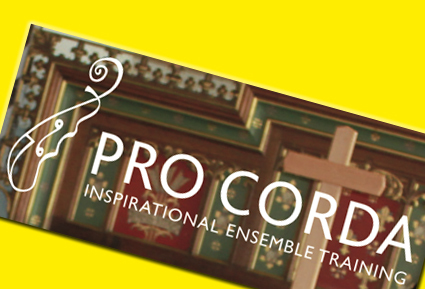 Last year the project 'Pro Corda: Recomposed' resulted in new group-compositions that re-composed the chamber music studied by the students on the course. Recordings of some of the pieces from 2013 can be heard here. Steven will write a new work for all the course participants, to be performed at the end of the course in Leiston Abbey. See Pro Corda's website for further details of the Senior Course. Harrow Opera will present a 'Celebration of Mozart' including ensembles from Cosi Fan Tutte. Steven will sing the role of Ferrando and the concert will include the duet 'Fra Gli Amplessi' and the solo aria 'Un'aura amorosa'. 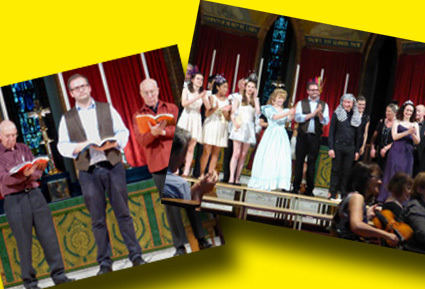 The performance takes place at 2.30 pm on Sunday 18th May, St. John's, Hallowell Road, Northwood. Tickets are £10. 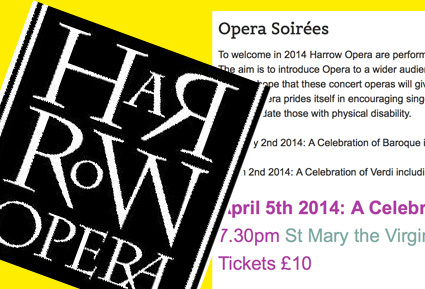 It forms part of a series of 'Opera Soirees' presented by Harrow Opera in 2014. 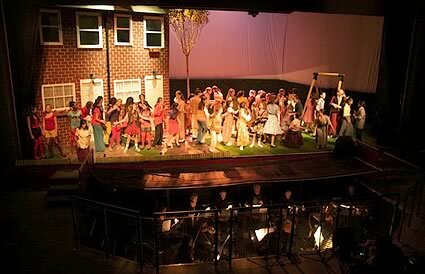 Harrow Opera prides itself in encouraging singers of all abilities to contribute and share in the performance of music which they love and the Opera Soirees allow just that. Further details can be read here. 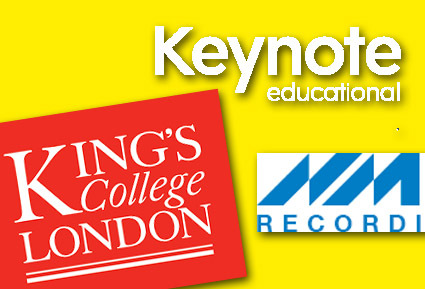 Keynote will offer Steven's new course, Creativity and Imagination in GCSE Composition. This course starts with the end in mind: how do you get a class to compose high scoring compositions when faced with a mixed ability range of students, including non-readers, non-classical and classical composers? The course will show how you can get away from formulaic teaching and help students be creative and imaginative in their compositions. It will explore in detail particular forms, styles and genres most used at GCSE level and show how to create pieces that are coherent, develop ideas and show ambition in the exploitation of the various musical elements. 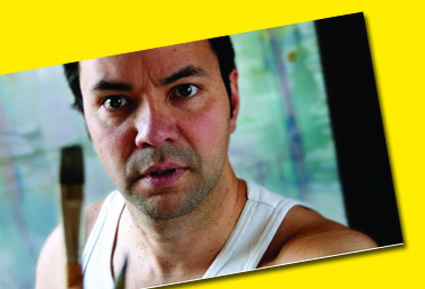 Steven's new work 'Galatea Torn' will be performed as part of the 20th Camberwell Arts Festival on 15 June 2014. Further details to be announced. Campaspe Lloyd-Jacobs (librettist) writes of the work: "love triangle, jealousy, death, transformation - but mostly set in a gym...". Steven is currently working with the writer Campaspe Lloyd-Jacobs on a new opera, for performance in 2015. 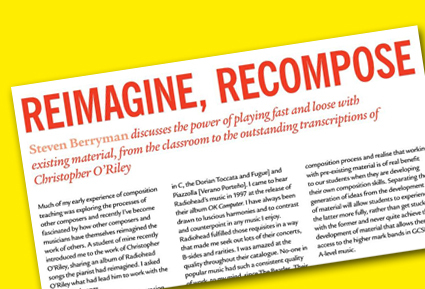 An article on 'Re-composing' (including Steven's interview with the pianist Christopher O'Riley) has been commissioned by Music Teacher magazine, and will include references to the Pro Corda project Steven led last summer. In addition to this, Steven will continue to lead courses for Keynote Educational and speak at the conference for A-level Music students this February. On a lighter note, Steven will be singing the role of Ferrando with Harrow Opera's concert performance of selections from Mozart's Cosi Fan Tutte in May. Steven's new work for SSAA, 'Echo', will be receive it's first performance in November. The work is a setting of the Christina Rossetti poem 'Echo'. The Chandos Singers at North London Collegiate School will be give the premiere performance as part of a concert at the school, conducted by the tenor Ian Caley. 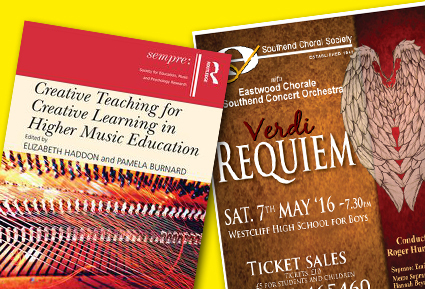 See the Events page for several events taking place over the autumn, highlights including presenting at MusicLearningLive in Singapore, a pre-concert talk for the Guildford-based Vivace Chorus and two dates for his GCSE Music course in Manchester and London. 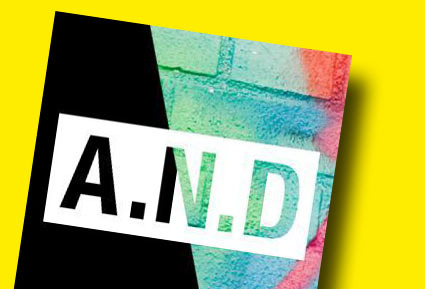 The Chandos Singers at North London Collegiate School will premiere a new work by Steven for SSA this November. Prior to the autumn Steven will teach composition on the Senior Course for Pro Corda, taking place in the beautiful Leiston Abbey. 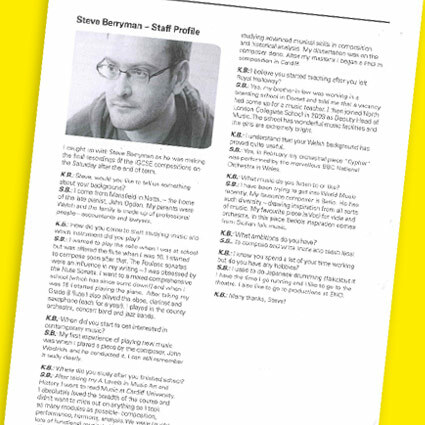 In the Spring 2014 Steven will speak at Keynote's AS/A2 Music Conference, and lead more courses for teachers in addition to adjudicating at the Watford Music Festival. 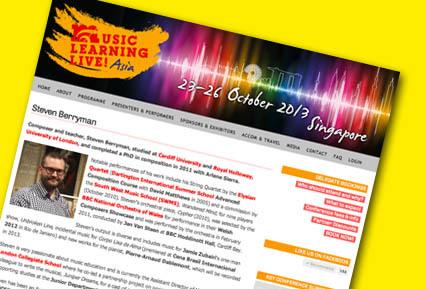 Steven will present at Music Learning Live! taking place in Singapore this October. "Remember - pupils should be increasing their knowledge of music through engagement with musical sound, supported by acquiring further verbal knowledge about music." (OFSTED Music Professional Development, September 2012). The music should come first. Where should the history and theory, 'the verbal knowledge about music' begin and end? How much is enough? This session will explore engaging ways of developing historical, theoretical and contextual issues surrounding the repertoire and musical styles we teach. Above all I will explore ways that do not circumvent or supersede the actual music but enhance it. Steven's talk will take place on the final day of the conference, Saturday 26 October. Further information can be found here. 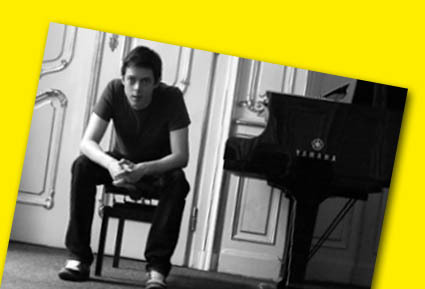 The French pianist Pierre-Arnaud Dablemont will record two of Steven's solo piano pieces in addition to recording his second album, due to commence recording Spring 2013. In addition, the pieces will feature on his recital tour throughout 2013, and Steven and Pierre plan to collaborate on further new works in 2014. 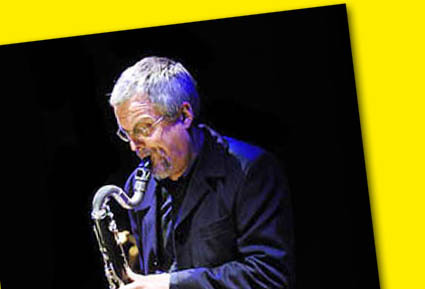 Further information about Pierre can be found on his website http://www.pierre-arnaud-dablemont.com. His current album has been received with a great deal of praise, and can be heard here http://introducing.pierre-arnaud-dablemont.com. Steven will collaborate with Jamie Zubairi to create original music for his solo show Unbroken Line to be premiered at Ovalhouse, London. How do you identify yourself? Is it by what you do? Where you're from? Who you're with? Dolah doesn't know. Being a foreigner in London still is intimidating, even after 10 years, especially for a suddenly ex-accountant. He wants to find the answers, but who to ask? A bizarre encounter with a mythical warrior takes him on a journey of discovery, not just of his Malaysian-ness, but his place in the world. Jamie Zubairi plays multiple roles in this comic physical theatre piece about foreignness, culture and the search for identity using live painting, theatre and Balinese dance. 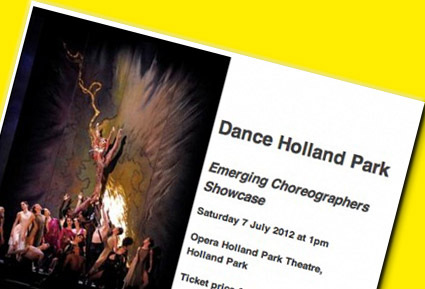 English National Ballet and Opera Holland Park together are offering this fantastic opportunity to present original work on the stage of Opera Holland Park. See something exceptional as emerging choreographers from English National Ballet, Union Dance, Combination Dance,South Asian dance organisation Akademi and the Romanian Cultural Institute present new works based on OHP's 2012 season. Join us for what promises to be a delightful and inspiring afternoon. Steven's arrangement of selections from Donizetti's opera will be used in the performance on 7th July. Tickets are priced at £5 and are available to book online from Thursday 19 April and over the phone (0300 999 1000) from Monday 23 April. 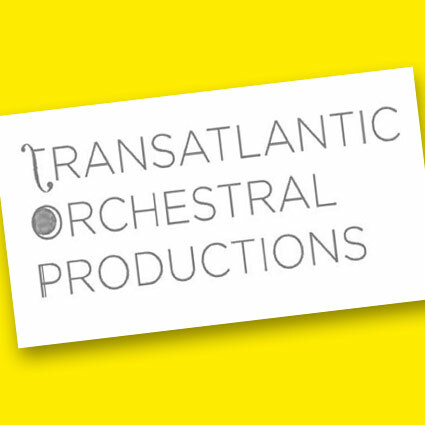 Transatlantic Orchestral Productions have announced dates of performances including three of Steven's works - two of which will receive their premieres at TOP concerts. 1st July will premiere the piano piece 'Brightly Illuminated...' performed by Christine McMaster and include a performance of the String Quartet. The 11th July concert will premiere the solo guitar work. Steven's music will feature in all of the TOP concerts this summer which include performances at the Secret Garden Party Festival and Wilderness Festival. Steven's recent collaboration with Mauricio Carneiro, Beo da Silva and Sam Fisher has completed a run of performances as part of Cena Brasil Internacional 2012 at the Centro Cultural Banco do Brasil in Rio de Janeiro. The festival ran from 1 to 11 June and included several performances of the work 'Copra - Lixa da Alma' (Rubbish - Body of Soul) including one in English. With the other artists that created the piece, Steven gave a talk about the process of writing the piece during the opening weekend of the festival. 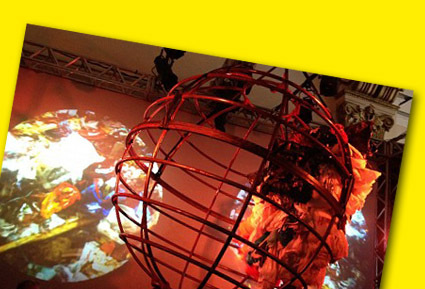 An installation that forms part of the piece includes a video with a soundtrack written by Steven played continuously throughout the festival in the entrance hall of the Centro Cultural Banco do Brasil. A trailer for the piece can be seen here and further details of the festival can be found on the website. Steven's recent collaboration with Mauricio Carneirio and Beo da Silva receives its premiere in Rio de Janiero next month as part of a international festival in the Brazilian capital. Further information can be found at here. Three of Steven's works will feature as part of Transatlantic Orchestral Productions concerts this July - two have been confirmed at The George Tavern and The Old Queen's Head, London. Further details about TOP and the upcoming performances can be found here. New work for solo mezzo soprano by Steven will be featured as part of an informal concert at the Wenlock & Essex, Islington, on Thursday 19th April. The piece will be performed by Lucie Louvrier, part of Soli Catalyst, and will be broadcast live on Hoxton FM. The concert will include works by Edmund Hunt, Matthew Lee Knowles, Howard Skempton, Edwin Roxburgh, and Stephen Mark Barchan performed by other members of Soli Catalyst. Further details will appear on www.edgemusic.co.uk shortly. Steven will be writing a new work as part of a project called Twelve-12-12 created by composers Nikki Franklin and Steve Gisby. Twelve-12-12 is a project to mark the last occasion, for a century, when it will be possible to write the date as the triplet 12/12/12. We are presenting a concert on 12 December 2012, featuring new pieces from 12 British artists, encompassing music, visual arts and poetry, each one drawing on material based on the number 12. Further details and updates can be seen here. Steven Berryman's setting of 'Versa est in luctum' will receive its premiere by the vocal ensemble Voci Sanctis, directed by Matt Collins. 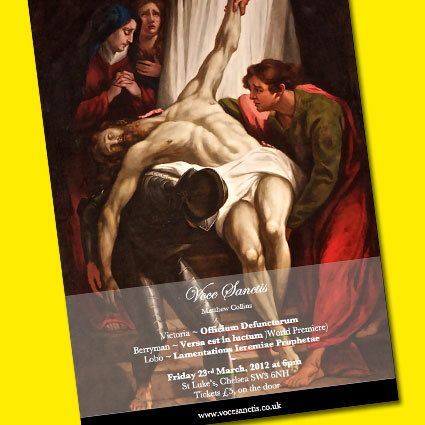 The concert takes place at St. Luke's, Chelsea, on Friday 23rd March, 2012 at 6 pm. See www.vocesanctis.co.uk for more details. "There were some really memorable songs, including the fugal Facebook one, but most of all I enjoyed the really sophisticated harmonies and subtle timbres of your scoring, which were far more interesting than anything you get in the West End. Stravinsky seemed a prevailing spirit to my ear, and it really made for a wonderful evening, where two hours passed very swiftly." 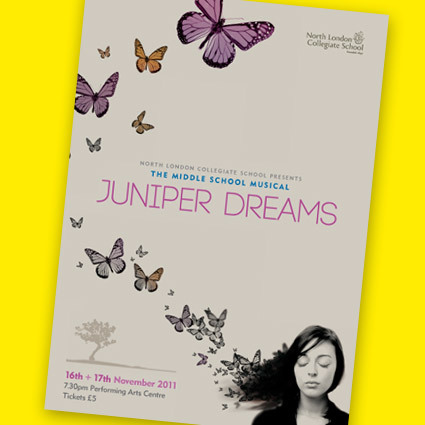 Juniper Dreams audience member It has been a wonderful and exciting week at North London Collegiate School as girls from Years 8 & 9 have performed the world premiere of a new musical Juniper Dreams. With book and lyrics by Deborah Gibbs, Director of Drama and music by Steven Berryman, Assistant Director of Music the story follows the fortunes of three girls from 1957, 1977 and 2011 who are united by their problems and experiences and escape into similar worlds. Although growing up in different periods, all find that dreaming of the pop-stars of their time is easier than facing up to the realities of school and family life. Audiences were delighted by outstanding, professional performances from the girls who should be extremely proud of their achievements. The quality of singing, acting and dancing was exceptional and it was wonderful to see this cast of 55 girls performing with such energy, maturity and focus. Steven now contributes to the new music blog www.icareifyoulisten.com; edited by the New York based composer Thomas Deneuville, the blog offers articles and reviews of concerts and recordings. 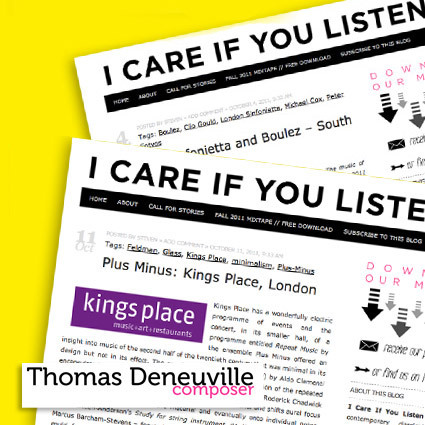 Some recent reviews by Steven include a Boulez concert at the Queen Elizabeth Hall and a concert of 'repeat music' by the ensemble Plus Minus at Kings Place. With music by Steven Berryman and the book/lyrics by Deborah Gibbs - will performed by girls at North London Collegiate School in November 2011.